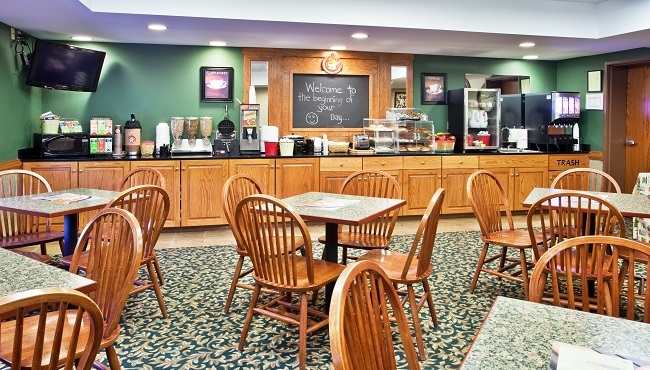 The Country Inn & Suites makes you first meal of the day hot, tasty and satisfying—and best of all, it's free! Fill your plate with golden waffles, eggs and assorted breads, and wash it down with a steaming cup of coffee. Stop by the hotel’s snack shop or vending machines for midday snacks, and try one of the popular local restaurants for lunch or dinner.